Introducing Gallery Original Dress Up Parts. 12.17.08 - Gallery Honda Civic Applications Just Added! 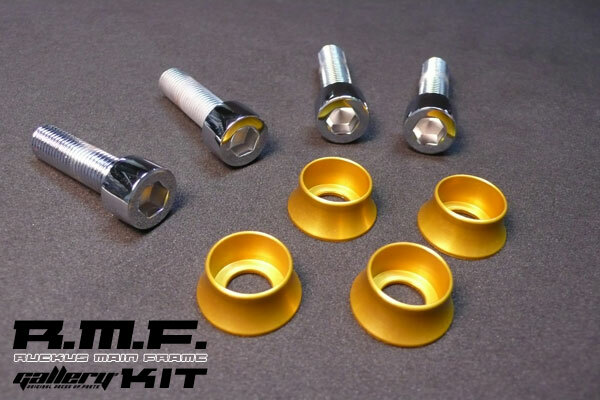 New full sets are now available for Honda Civic/CRX 88-91 (EF), Civic 92-95 (EG), and Civic 96-00 (EK)! Check with our dealers for availability. 12.01.08 - Gallery Install Article in this month's Super Street Magazine. 11.07.08 - Gallery sponsored Scion tC Wins Scion SEMA Tuner Challenge! See more about it here. 09.25.08 - New Gallery Full Sets now available. New full set piece number and prices have been announced for the 2009+ Nissan GT-R (R35), 2008+ Subaru WRX STI, and the upcoming 2010 Hyundai Genesis Coupe. See details on the catalog page. 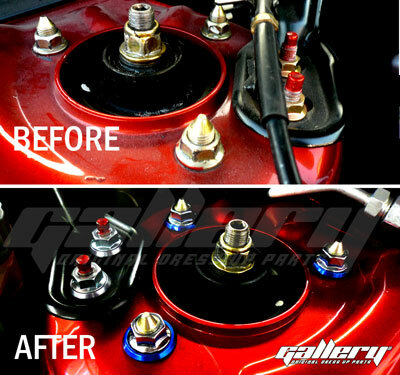 Gallery Full Sets include most engine bay pieces and fully illustrated application instructions for ease of installation. 09.10.08 - New Gallery Full Sets now available. 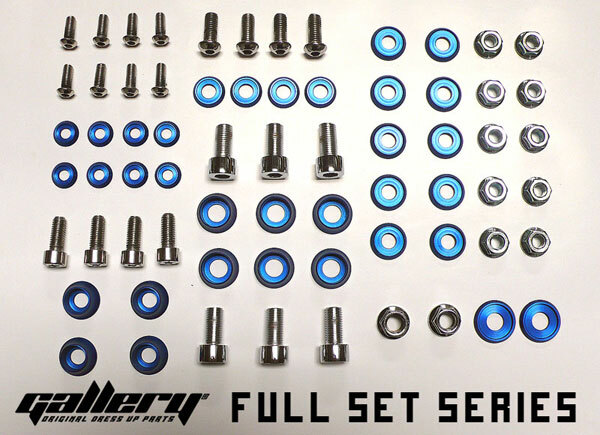 New full sets available for Subaru WRX STI, Mitsubishi EVO 9, Scion xB. Gallery Full Sets include most engine bay pieces and fully illustrated application instructions for ease of installation. 09.08.08 - Gallery releases their Type TAP application. 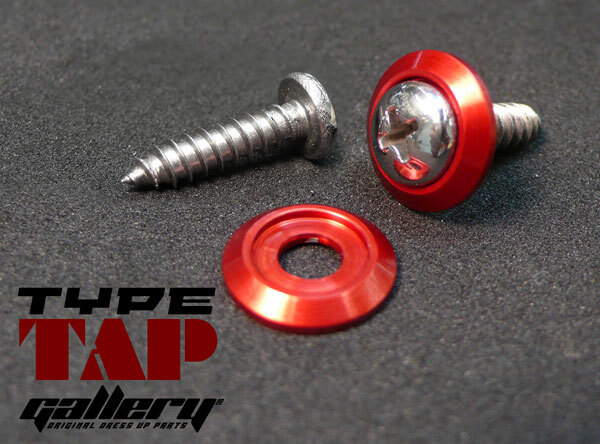 This style commonly replaces Headlight Bracket Screws, License Plate Screws, and various Car Interior Screws. 08.26.08 - Gallery has developed a Wide Version of the Type 6B washer with a larger "footprint". This wide footprint covers the unpainted area found when removing bolts and washers commonly found on freshly repainted or Honda factory engine bays for a cleaner look. Choose this washer type if you need to cover up unpainted under bolt areas or for enhanced aesthetics. 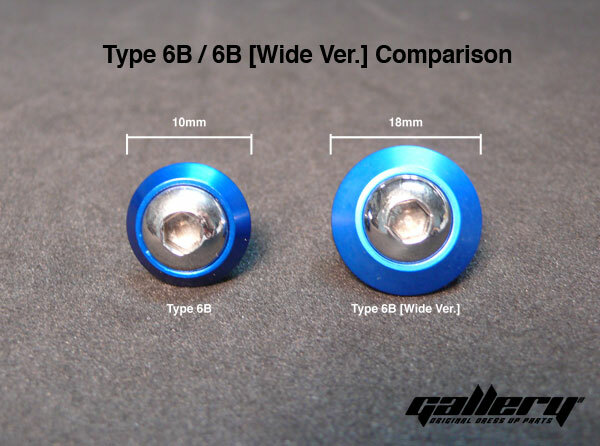 The wider diameter means that more washer color shows compared to the regular Type 6B. Recommended for Honda applications, repainted engine bays, or any other use that requires a wider footprint. Diameter of the Type 6B [Wide Ver.] measures 18mm across (approx. 11/16 in.). 08.14.08 - Finish off your Honda Ruckus with our 8 piece Main Frame Kit. All modified Ruckus' need this finishing touch. Make your machine a work of art. Take a look at these pictures to see what a difference Gallery makes. Gallery is all about the details.